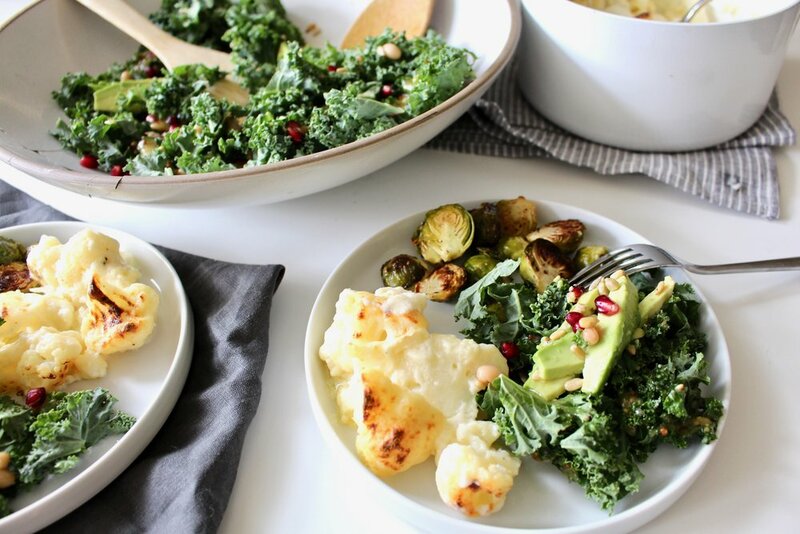 One more veggie dish just in time for the holidays! This one is simple, easy, and so cheesy. Think Mac & Cheese, but with cauliflower instead of noodles. Preheat oven to 400 degrees. Steam cauliflower until tender. In a small saucepan, melt butter over medium heat. Add flour and stir for 2 minutes. Slowly add milk, stirring constantly. Add salt and pepper. Slowly add goat cheese and then cheddar, stirring constantly. Stir until all cheese has melted. Remove from heat. Put cauliflower in a casserole dish. Pour cheese mixture on top and bake until brown and bubbly - about 25 minutes. If you are short on time, broil for 5 minutes. And while we are talking holidays, make sure to check out my holiday gift guide! Lots of ideas for everyone on your list!